It’s finally here!!! Laduuuma! | Kimchi with Eish! 11 June 2010! O days to kick off! This is it! Go South Africa! Go Bafana Bafana! Ayoba! It’s finally here, and in one month it will all be over. But the World Cup is not about the “World Cup” to me. It’s about so much more. It’s about my country who’s democracy is still in its infancy coming together and standing united for one cause. Yes we support Bafana Bafana all the way and we will root for until their last whistle blows! But we know that our team is the second weakest in the competition (North Korea is the weakest) and that all the odds are against us! This morning when I walked to school I had one biiiiig smile on my face and my heart was overcome with joy! The last time I was so overcome with emotion for my country was when we won the Rugby World Cup in 2007. To me it’s not about winning the cup (or as a friend pointed out – the cup is not even a cup). This is going to sound lame but to me the world cup personifies my country and its people. That we can be united and that we can stand together. And throughout this year it has become eminent that South Africans want to be united. We cheer together fro the Proteas, the Springboks and Bafana Bafana; and we cheer AGAINST Julius Malema! I really do hope Nelson Mandela makes it out to the opening match tonight because the world need some more of that Mandela Magic! Who knows how long we will still be able to get it! To all you nos-South Africans out there, enjoy what my beautiful land has prepared for you and lets all stand together in our support of the FIFA WORLD CUP 2010 – SOUTH AFRICA!!! My original plans for the opening game was just to head downtown with some friends and watch it their. But we received an email last night from SAKORNET (an organisation for South Africans in Korea) that infromred us That Hyundai has invited all South Africans as guests of honour to Olympic park. So nicola and I will get on the KTX today at 4 and rush up to Seoul where we will cheer for our country! 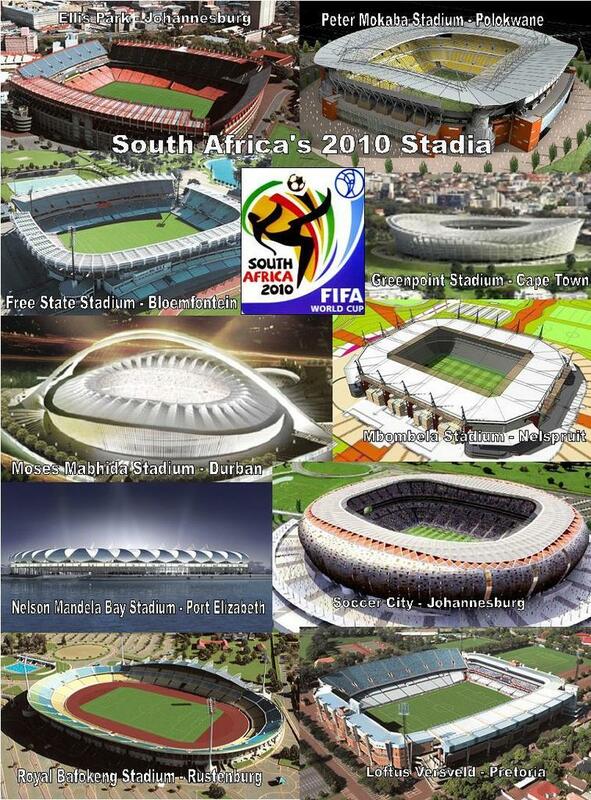 Go crazy people its the first FIFA World Cup on African soil and who knows when that will happen again! ← 1 day to Kick off! Hehehe Can I be South African too? That sounds really awesome you get to go! Have fun! awwww ur post made me get teary-eyed!!! !